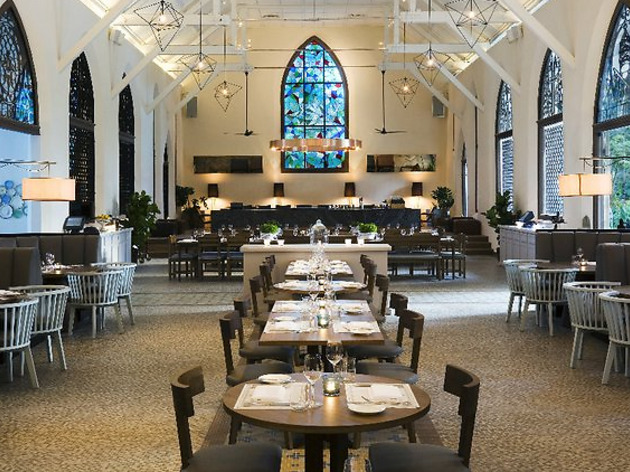 Fair warning: she’s gonna expect you to go down on bended knee if you’re bringing her to this restaurant, housed in what used to be a grand old chapel. (Stay strong, guys.) Anyway, any disappointment will dissipate once the four- ($108) or five-course ($118) meal starts rolling out from the kitchen. 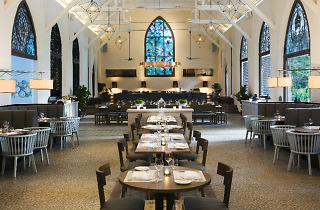 Head chef Benjamin Tan whips up plates such as veal cheek, cured tuna loin and paupiette – that’s a fancy name for stuffed and rolled meat – of dover sole. Pair your dinner with wine ($48/person), too, because you don’t wanna come across as cheap.